Offering you a complete choice of products which include bench scale. 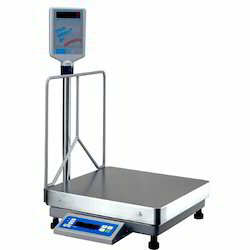 Bench Scale is best suited where a person needs a compact Platform scales or a Platform scales which can be placed on a counter at a suitable height. Sturdy back guard to avoid the items on tray touching the Pole. Looking for Bench Scales ?